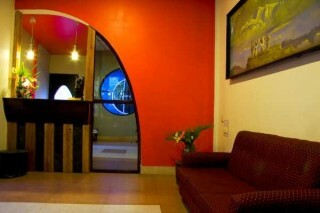 Our place is located in the heart of the city. Surrounded by lush green gardens and lawns, the hotel offers breath taking views of the Kanchenjunga mountain range and Teesta valley. 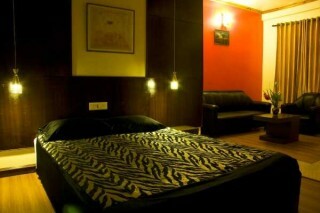 Its proximity to the market and places of tourist attraction makes it perfect for all travellers. Welcome To Pedong, to the Mystic & Exciting world of Damsang Village, Chumirchen Pedong. 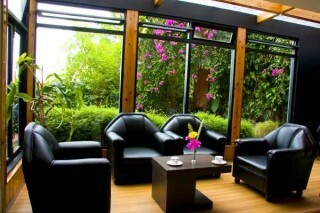 Characterised by the old world charm and gracious hospitality, the resort offers comfortable rooms with beautiful garden. The resort is surrounded by Rikissum & Rochela the tri junction of India, Bhutan & Sikkim with The 17th century Damsang Fort situated just above the resort. The resort is centrally located to all the seven places of interest, namely Damsang Fort, Cross Hill, Tin Chuley View Point, Sillery Goan, Ramitey, Rikkissum & Sangchhen Gumpha. Arrangement for Sight Seeing & guides, Bird watching, Rafting, Trekking, River picnics & many more such exciting adventures& close to Rishap, Lava & Kaffer. Chumarchin is 20Kms off Kalimpong just before Lava/Lolaygoan, after Algarah. The Room with a View, serves up Indian, Tandoori, Chinese, Continental, Nepalease, Bengali cuisine with a generous helping of great views of the Himalayas, Sikkim and the Teesta Valley. Making your Dining more of an Experience. 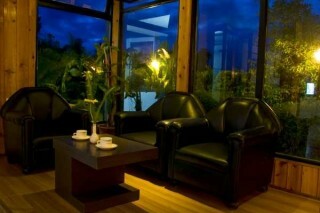 It has a seating Capacity of 45 pax along with a lounge area for ten pax & opens up to the garden area. The room has a siting area and a bed room which open to gorgeous views of the Himalayas, nearby hills of Sikkim and Kalimpong town. Step out and you are on the lush green lawns. 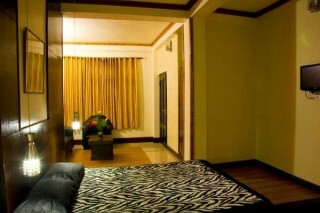 The suites have bay windows, parquet flooring, LCD TV ,Phones and have attached designer Western Style bathroom. 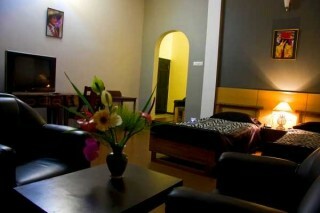 The suite have an approximate area of 300-350 Sq ft.
Facilities ; Complimentary Wi-Fi Internet, LCD & 29inch C.T.Vs, Wooden Parquet flooring, All Suites, Attic Rooms & Deluxe Rooms have mountain and valley views, Multi cuisine Restaurant, Green Lawns and Gardens, Children’s park, In-house Power Backup ( Inverter), In-house Travel Services, Attached baths with running Hot & Cold Water, Phone in rooms, Laundry Service, Doctor on Call, Secure Car Parking, Meeting Room 30Pax, Concessional Rates in Off Season, Heating Appliances on Request, Kitchen Facilities for Groups, Central Location, Fantastic views of Mt. Kanchejunga and Himalayan range also Kalimpong town and Sikkim, Arrangements for Rafting, Beach picnics and Attractive Holiday packages Available. Market Area - 01 km; Darjeeling - 49 km; Gangtok - 76 km 8.5 Miles is where you will find us, just 800 meters before the Hustle and Bustle of the Market area set amidst Nature with a breath taking view, on the sunniest part of the Hills. For What Ever you have in mind you cant be better Located. Near to all the site seeing interests. Laze on the rolling Lawns and Gardens or just admire the Glory of the mighty Mt. 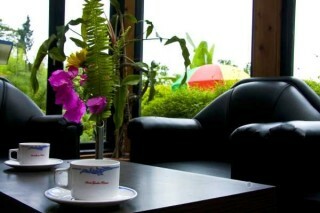 Kanchenjunga from the Restaurant, Balconies or Lawns. Let the Children get naughty on the Outdoor Play Area, swings and slides. Travel Assistance is available Picl up and drop can be arranged. Places to visit : a. Damsang Fort The Damsang Dzong was buit in the year 1690 to stem any aggression by the troops of the East India Co. and other hostile tribes as well. The fort is in ruins after the Anglo-Bhutanese war of 1864. Apart from the Mystic and Historic Interests one is also treated to a magnificent view of the Himalayas and lush green valley as this Dzong was buit at a vantag point for the purpose of Administration purpose. Visit the famous St.Theresa Catholic Church (Approx.1km) and Kali Mandir (Approx. 1km) that surround the hotel. St. Theresa Church is one of the ancient centuries old church located in Kalimpong. Resembling monasteries in its structure, this church features design from Tibetan architecture. In addition, paintings and inscriptions of Biblical themes that resemble Buddhist monks can be seen on the walls of this church. Explore the beautiful city by visiting Mangal Dham, Flower Nurseries and Neora National Park.